Al’s and Vic’s is one of Missoula, Montana’s oldest bars. We're still operating in the same location where we opened back in 1936. With a down home feel, Al’s and Vic’s brings in a crowd that ranges from blue collar workers to law students. Our large outdoor patio makes all our customers feel like they’re enjoying a drink in their own backyard! There’s always someone fun to hang out with, a new drink special to try and a good time to be had at Al’s and Vic’s. Whether you’re trying Al’s and Vic’s for the first time to take advantage of one of our daily drink specials, or you’re a dyed-in-the-wool regular, you’ll come to find that our door is always open and the welcome mat stays out. 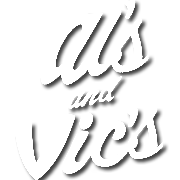 Stop in to Al’s and Vic’s for great company, a laid back atmosphere and a hard to beat good time. We look forward to seeing you soon! Copyright © 2019 Al's and Vic's, all rights reserved.